L.A. Kitchen believes that neither food nor people should ever go to waste. 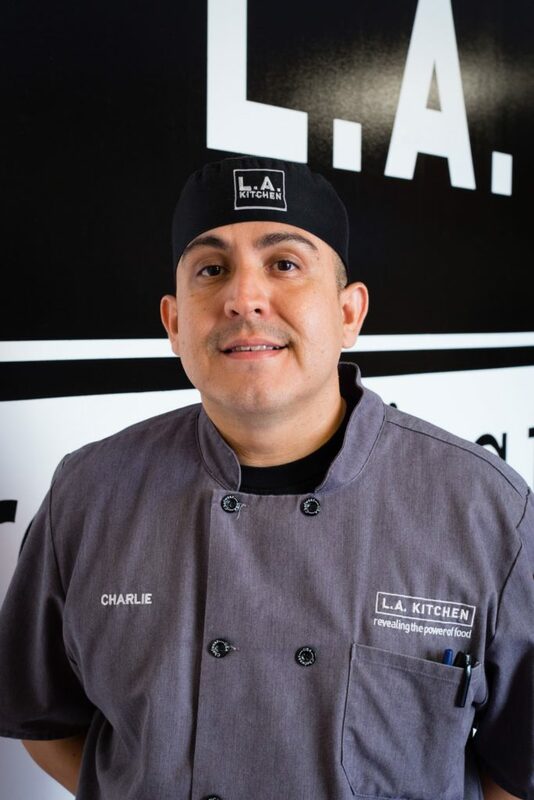 By reclaiming healthy, local food that would otherwise be discarded, training men and women who are unemployed for jobs, and providing healthy meals to fellow citizens, L.A. Kitchen empowers, nourishes, and engages the community. Charlie Negrete is one of our Summit Scholarship recipients! What ingredients are you most excited to cook with and why? I love potatoes, eggs, black garlic, all squash, lamb and pork. What are sustainable cooking practices you live by? Seasonal ingredients, local ingredients, zero waste all the way down to composting. What’s a future project you’re excited about? Growing L.A. Kitchen’s blueprint into each major city. How do you change menus in order to change lives? Our menus are based on donated/bruised or otherwise “imperfect produce.” Once the mystery produce pallets are brought into L.A. Kitchen, we then create a menu around delivered produce/grains etc. Life change happens through the donated food because that food is used to fuel the culinary job training program. We use food to give people a second, fifth, even 20th chance sometimes to get their life back by gaining kitchen skills to sustain a job. The food we produce will go to that person in Los Angeles that most likely would not have eaten one meal that day. It’s a sad reality but true. They may unknowingly really need these plant-based nutrients to survive. What is your advice for chefs in similar roles? Put the growing low income senior population/homeless epidemic on their radar with hopes to help shift it for the better. How did you become involved with L.A. Kitchen? Destiny/divine intervention! It was meant for me to here. What are your thoughts on minimizing food waste? That means stretching food to its maximum potential in order to feed more people and help our Earth maximize its potential.